Maruti Suzuki India Limited is more famous for small cars and any one looking to buy an used small car would may be look no further than the slew of hatchbacks that the company offers. 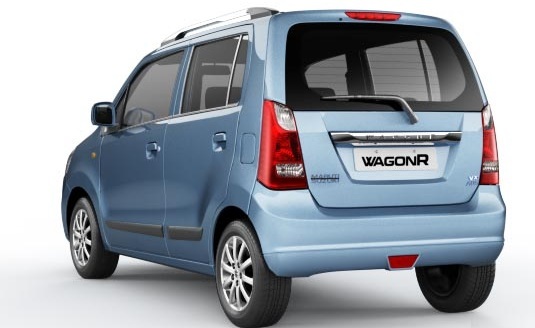 One such car is the used Maruti Suzuki Wagon R in India. It was the world’s first tall boy design amongst cars however when launched in India, it had to compete with two other tall boys namely the Daewoo Matiz and Hyundai Santro. Sales for the Maruti didn’t take off until 2002 when Maruti Suzuki India Limited decided to refresh the car a bit and also slash the price. That day and this day, the car hasn’t looked back. This car is roomier than its peers however one has to bear with lower quality of materials. The first batch of cars didn’t have too much of equipment however the post 2002 models have many of the features standard even on the lower variants. The aircon for the car works wonderfully and should be checked if it gives a consistent blow. Timely replacement of the fluid inside should ensure trouble free performance. The lower LXI variant doesn’t get a tachometer and some of the power goodies whereas the top end VXI offers all those and a different interior trim. The electricals should stand well and there isn’t a problem with those. Check out if all the lights and gauges are working properly or not. Interior space is abundant and seating 5 shouldn’t be a problem. The steering wheel is very light for city use whereas on the highway, it feels a bit out of place and doesn’t weigh up nicely. Check for lock to lock and see if there aren’t any abnormal sounds. Check for the beadings lining on the door as these were weak and tend to give away bringing in all the dust, grime and water inside the car. Replacing these wouldn’t be a costly affair though. Have a look at the engine now. An unusually clean engine bay should be cause for concern as the owner may be trying to mask something. With about 64 Bhp on tap for the older versions, performance was good however expect the engine to be quite vocal at high speeds. At low speeds there shouldn’t be any strange noises coming from the engine bay or the suspension department. A used Maruti Suzuki Wagon R shouldn’t pull to one side while on a smooth road. If it does, it means that the car’s suspension has taken quite a beating and the strut bearing needs to be replaced. The car’s tail pipe shouldn’t emit blue smoke as this is sign of the engine been abused and requiring extensive work. Usually Maruti Suzuki cars are cheap to maintain and the overall routine service cost for a used Maruti Suzuki Wagon R in India shouldn’t exceed more than Rs.2,000 including oil change. If the used car is maintained properly it should provide for years of trouble free ownership experience. Used car prices should hover around the Rs 2.24 lakhs mark for a 2003 model and about Rs.3 to 3.4 lakhs for a 2005 to 2008 model.